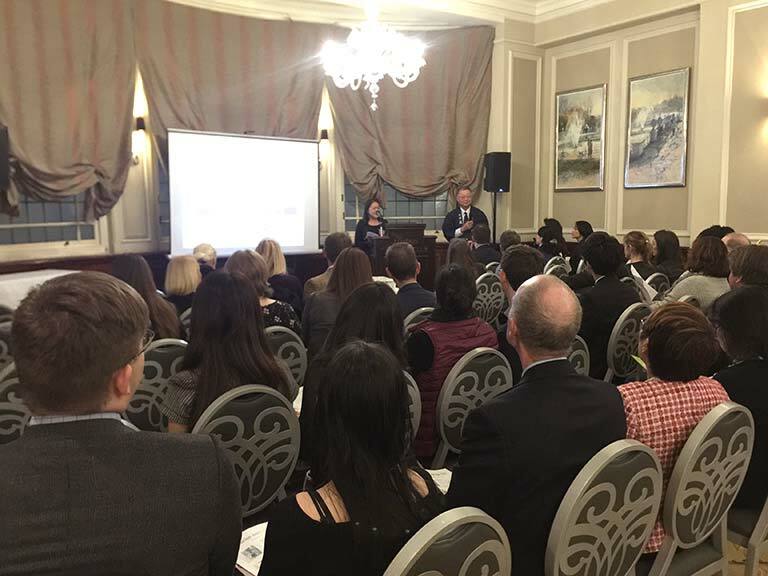 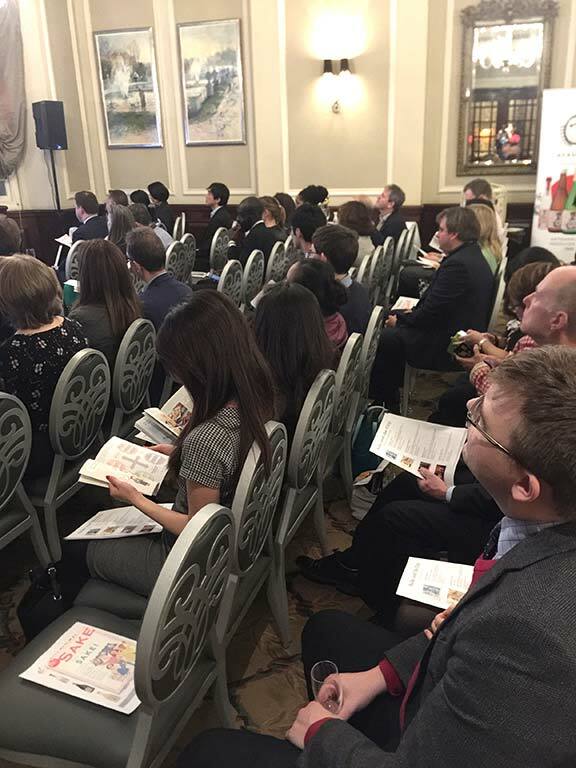 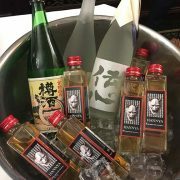 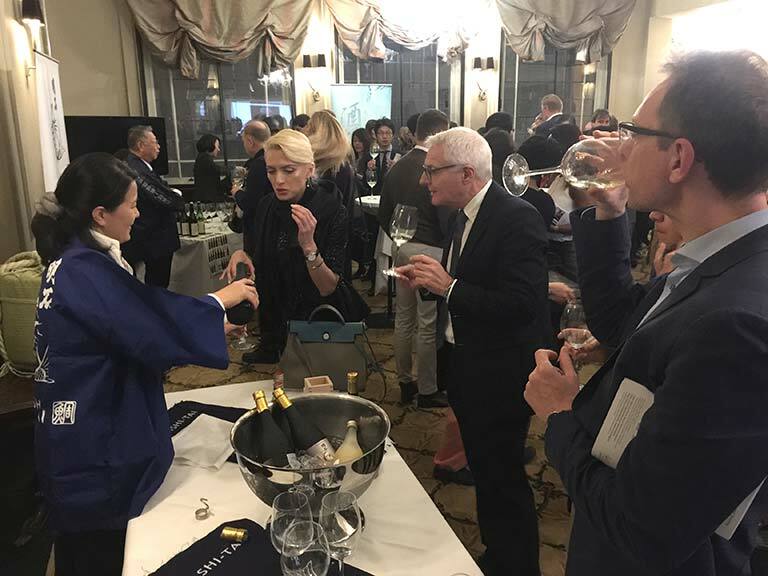 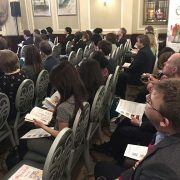 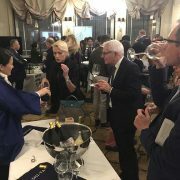 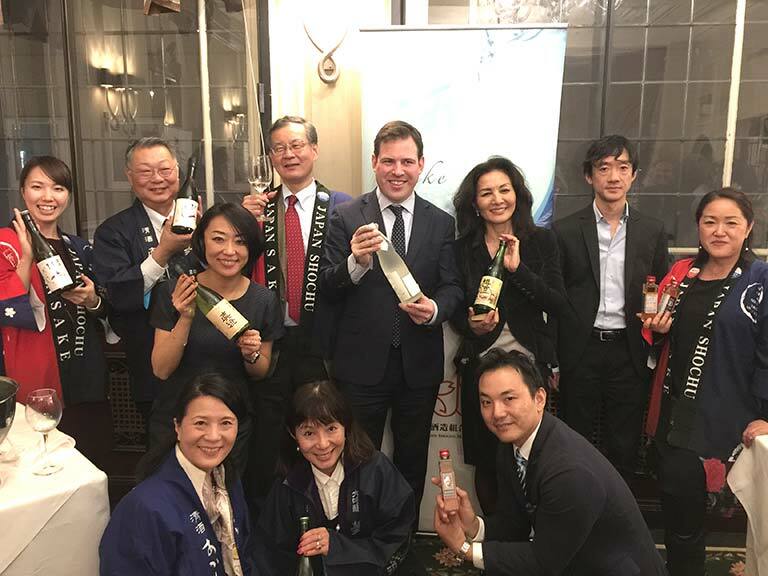 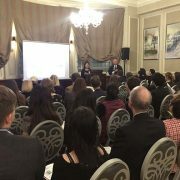 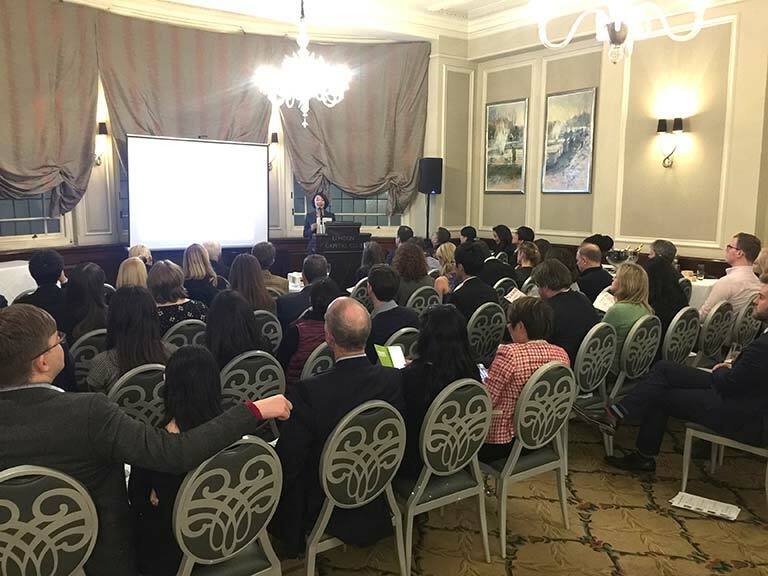 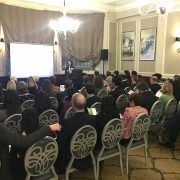 The Sake and Shochu Makers Association (JSS) hosted a sake lecture and tasting event for finance professionals at the London Capital Club. 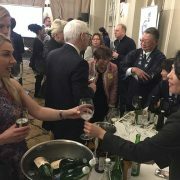 The Club is a private members club based in the heart of London and provided a beautiful setting for sharing sake culture. 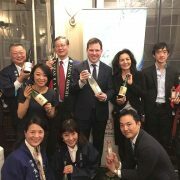 Akashi-Tai Sake Brewery and Miyasaka Sake brewery supported this event along with two distributors (World Sake Imports and JFC). 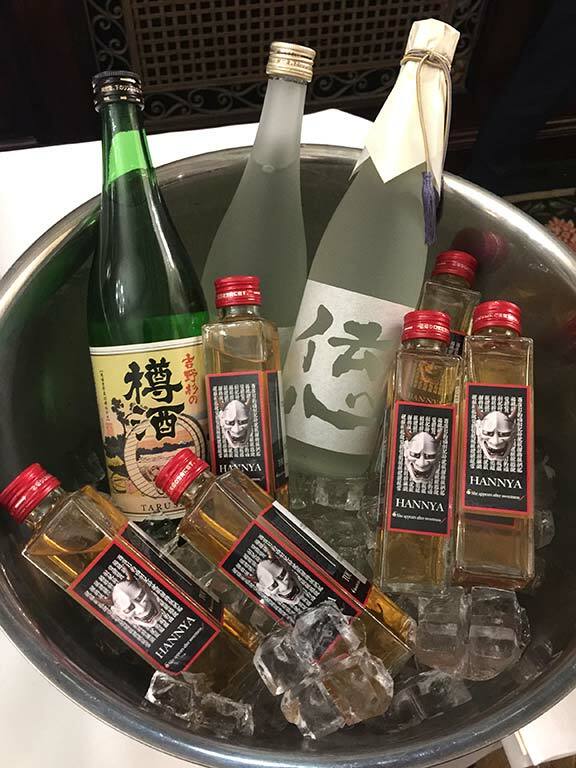 Following a greeting by Hiroshi Inouchi of the JSS and an introduction to sake by Rie Yoshitake, each guest enjoyed a selection of sake paired with Japanese food. 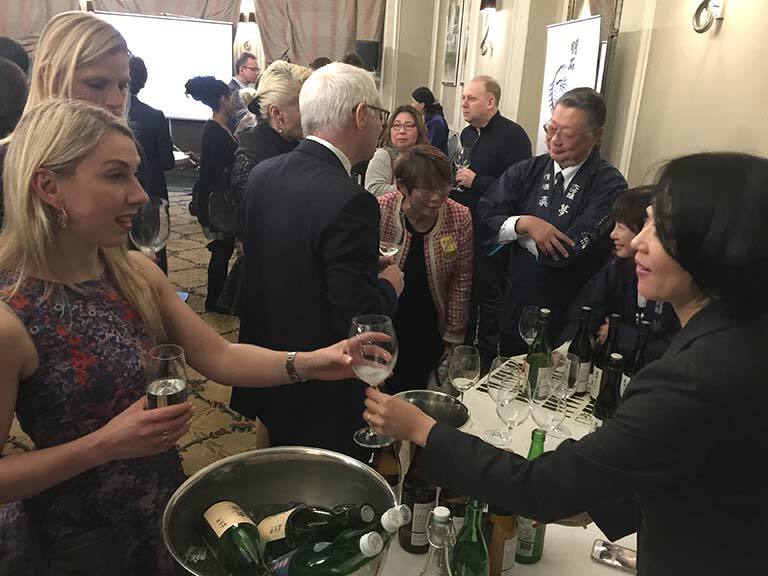 The sparkling, yuzu and plum sakes were big hits with those gathered.